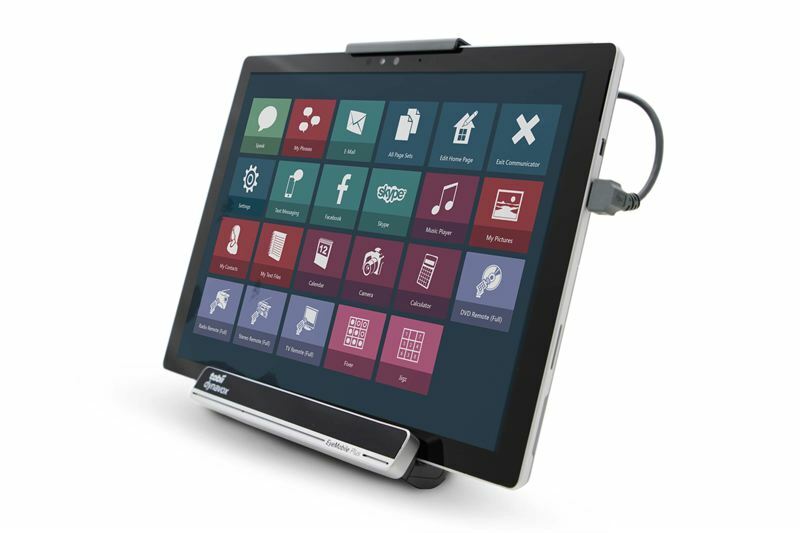 Tobii Dynavox, the global leader in Assistive Technology for communication, announced today the release of the EyeMobile Plus, an eye tracker built-in to an advanced Windows tablet bracket. The EyeMobile Plus combines the best in eye tracking, high quality speakers, speech recognition, switch access, and infrared (IR) control into one solution. EyeMobile Plus provides individuals with physical and mobility challenges, such as spinal cord injuries or ALS, all the necessary tools to communicate effectively and empowers them to access mobile computing. With the EyeMobile Plus, users can navigate their Windows tablet, control and access apps, internet, social media, games, the Microsoft Office suite and more. The combination of integrated hardware features, easy-to-use software, and lightweight portability makes the EyeMobile Plus an ideal tablet solution for communication and computer access, ultimately giving users greater personal freedom and levels of independence. The EyeMobile Plus comes with a built-in eye tracker, powerful speakers that make sure users will be heard loud and clear, two switch ports for scanning, an advanced microphone optimized for speech control and IR for environmental controls. It can be purchased with a Microsoft Surface Pro or be paired with comparable Windows tablets, based on an individual’s preference and style. In addition, EyeMobile Plus will sustain power with internal batteries for 9+ hours and only draw from the tablet once exhausted, ensuring anxiety-free power when communicating on the go. The EyeMobile Plus comes with the Windows Control software to provide full gaze-enabled control and access to computer functionality. Other Tobii Dynavox Windows based software like Communicator 5 can be added on to provide a fully-fledged Augmentative and Alternative Communication (AAC) solution. The EyeMobile Plus is available for purchase online or through the Tobii Dynavox network of sales consultants and resellers. To learn more visit tobiidynavox.com. This information is information that Tobii AB (publ) is obliged to make public pursuant to the EU Market Abuse Regulation. The information was submitted for publication, through the agency of the contact person set out below, on July 10, 2017, at 18:00 p.m. CET. Tobii is the global leader in eye tracking. Our vision is a world where all technology works in harmony with natural human behavior. 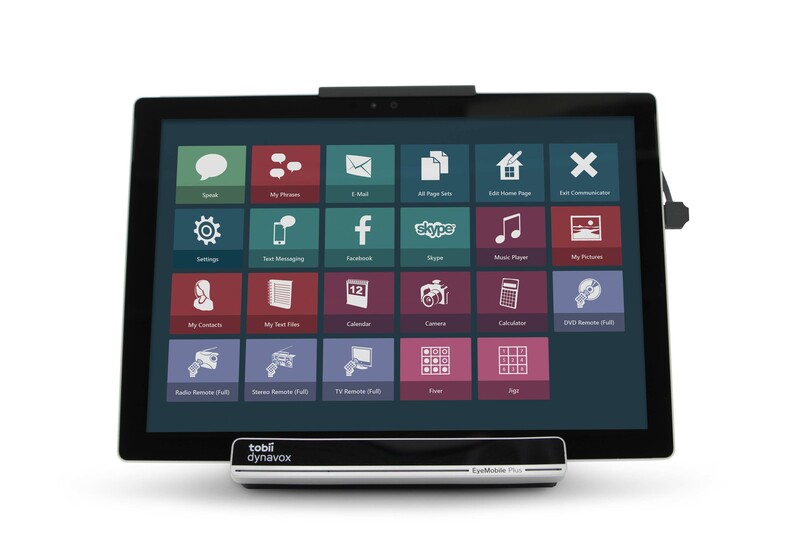 Tobii operates through three business units: Tobii Dynavox makes specially designed computers that are controlled by eye movement or touch screens for use by people with special needs due to spinal cord injuries, CP, ALS or other medical conditions. Tobii Pro develops and sells eye-tracking equipment and services used today by more than 3,000 companies and 2,000 research institutions, including all of the world’s 50 highest ranked universities. Tobii Tech further develops Tobii’s technology for new volume markets, such as computer games, personal computers, virtual reality and vehicles. Tobii is headquartered in Sweden and is listed on Nasdaq Stockholm (TOBII). 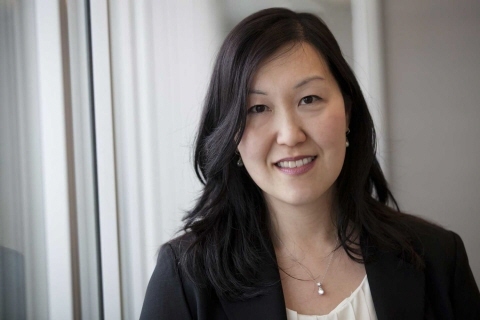 The group has around 750 employees. For more information, please visit www.tobii.com.